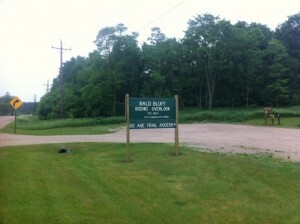 Bald Bluff Nature Trail is only 13 minutes outside of Whitewater, located in Palmyra, WI. The history of this trail is vast, it is part of the Kettle Moraine Forest Preserve and has some incredible views. The trails are well kept and open year round. Definitely worth the drive. Pioneers named this hill Bald Bluff because it lacked trees and was covered by prairie grasses and flowers. Though the bluff has grown over in recent years, a small portion of prairie has been preserved as a State Natural Area. It is burned periodically to keep brush and trees from shading out prairie plants. You will see this prairie at the top of the bluff. The John Muir Trails, N9097 Co Rd H, Whitewater, WI 53190. Only 14 minutes outside of the UW-Whitewater campus is the John Muir Trail System. Which is actually made up of seven trails. Brown Loop, easy, 1.25 miles: Mostly flat trail with some small rolling hills; two moderate uphill climbs, one fast downhill and a little rocky ending. White Loop, moderate, 4.25 miles: Moderate hills, some rocky trail sections; one long downhill, one fast steep downhill and one moderate uphill before reconnecting with the brown loop. Rainy Dew Bypass (purple), hard, 4.7 miles: Moderate trail with a hard rocky up and down hill before reconnecting with the Blue/Green Loops. Orange Loop, moderate/hard, 5.0 miles: The first half of the trail is the white loop. Includes moderate trail with a hard, long up-hill before reconnecting with the brown loop. Green Loop, hard/more difficult, 7.0 miles: Moderate trail with very rocky and sandy trail sections; many hard ups and downs, with many fast sections. Blue Loop, hard/most difficult, 12.0 miles: Hard trail with very rocky section, many hard up hills and several fast down hills. As you can see these trails range from easy to difficult, so there are trails that everyone can enjoy. These trails are available year round and beautiful anytime of the year. More information on the John Muir Trails. 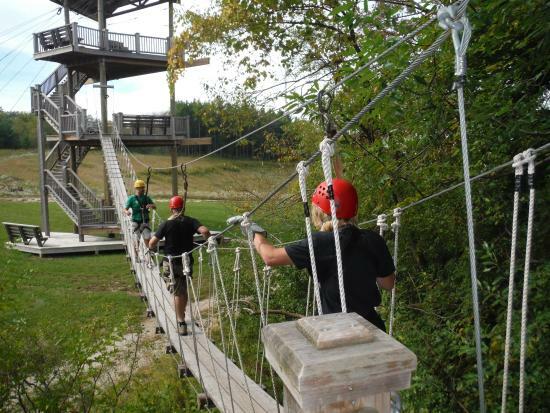 The Canopy Tours are one of Lake Geneva’s many adventures. These tours are year round and besides the Canopy Tours include, hiking and biking, high ropes, dual racing zip, and team building. The Canopy Tours include dual racing zip lines, and arbor trails. The costs for a single adult is $99.99 and for children ages 7-15 $89.99. They also have group rates to save you money! They also have some course outlines included on the website. The link to their website is listed in the top paragraph. If you are to go to the Canopy Tours, I would recommend staying in Lake Geneva for the night and enjoying the whole experience of the city. I am in no way being paid to promote these tours, I just think they are cool! Located about an hour and a half from Whitewater, WI. Devil’s Lake State Park is a very popular hiking place in Wisconsin. The address for Devil’s Lake State Park is S5975 Park Rd, Baraboo, WI. Devil’s Lake has some of the most amazing views in Wisconsin. Devil’s Lake State Park is apart of the Ice Age Trails and has over 29 miles of scenic hiking available to the public. 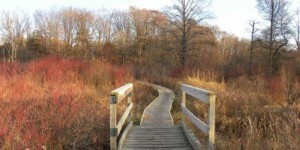 According to devilslakewisconsin.com “Trails vary in difficulty from easy to quite challenging. Not all trails are surfaced. Steep climbs or descents and stairways may be encountered. Use caution when on the steep bluffs or near cliffs. Stay well away from cliffs and watch small children closely. There is a 1-mile interpretive nature trail and 1.5 miles of trail that are accessible for people with disabilities.” They also mention that the trails at Devil’s lake are not groomed for winter hiking so this park should be on your list for summer/spring hiking. 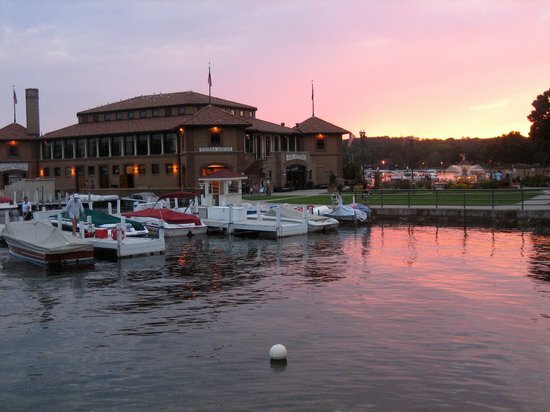 About a 35 minute drive from Whitewater, sits a town called Lake Geneva. 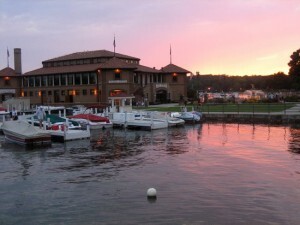 Lake Geneva is beautiful, the scenery throughout the whole town is amazing. The town is called Lake Geneva and named for the lake that lies in the middle of it. Lake Geneva is a huge lake, 21 miles to be exact. And so to hike completely around it, it would take about 7 hours at an average walking pace. Now don’t get me wrong walking 21 miles is awesome and all but thats an all day event and some of us just don’t have that kind of time. If you don’t have that kind of time, or simply don’t want to walk 21 miles, one suggestion I would recommend is having a ride pick you up at one of the beaches on the way around. This hike is definitely worth the time it takes and you get to witness some beautiful views as the path winds around the lake. 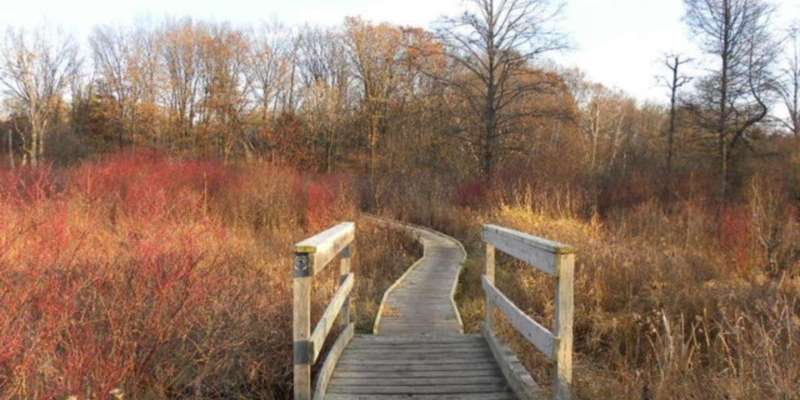 Located just behind Esker, the Whitewater Nature Preserve is about a 2 mile loop of walking trails. Students and locals use these trails for running, and walking. 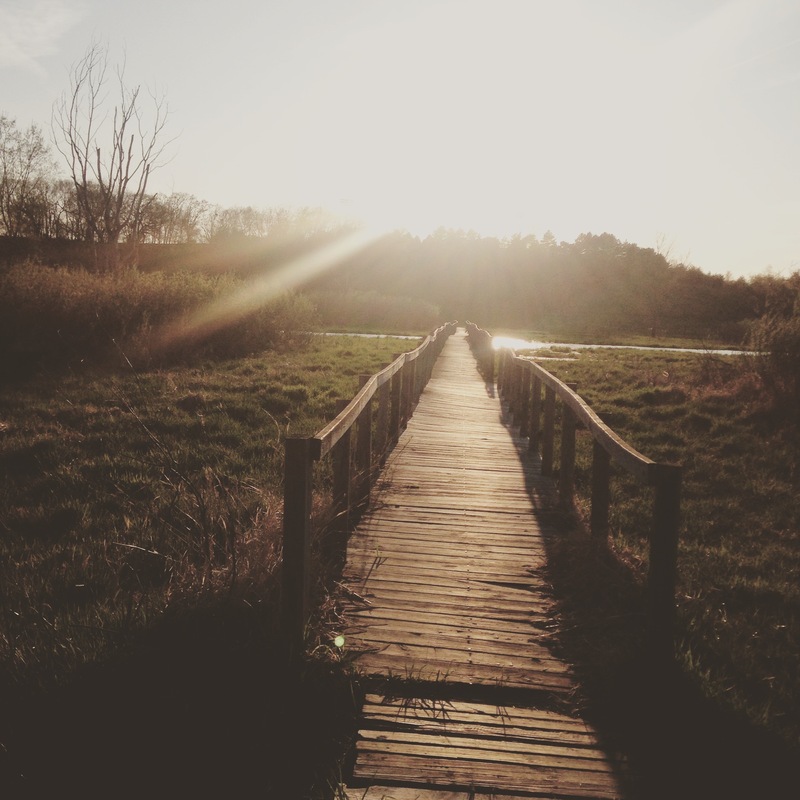 These trails are open year round with a bridge over a small pond as a cool added feature. This trail is convenient because no matter where you live in Whitewater it is no more than a few miles away. And if you are living in the dorms it is basically in your backyard. I would definitely recommend walking or running on these trails because they have hills for work outs and feature some really cool views when you get into the depths of the trees. Fall is the perfect season for hiking here.